The Queensland Government has announced the companies that will build the transformational $5.4 billion Cross River Rail Project. The 10.2-kilometre rail line will run from Dutton Park to Bowen Hills, with a 5.9-kilometre twin tunnel under the Brisbane River and CBD, four new underground stations and upgrades to existing stations. The PULSE consortium is led by CIMIC Group companies, Pacific Partnerships, CPB Contractors, and UGL with international partners DIF, BAM and Ghella. UNITY Alliance brings together CPB Contractors, UGL, AECOM and Jacobs, and partners HASSELL, RCS Australia, Acmena, Martinus Rail and Wired Overhead Solutions. Hitachi Rail STS – the European Train Control System (ETCS). The European Train Control System (ETCS) will be delivered by Hitachi Rail STS. Premier Annastacia Palaszczuk said the project would generate 7,700 jobs, including 450 apprentice and training opportunities. “We’re focused on building the major infrastructure Queenslanders need and delivering local jobs. That is what Cross River Rail is about,” the Premier said. “Cross River Rail is Brisbane’s new underground. It means more trains, more often across the entire South-East. 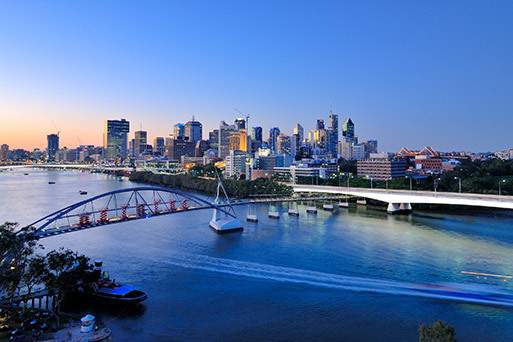 “As well as improving connectivity across the entire south-east, it will create new precincts at Boggo Road, Woolloongabba, Albert Street, Roma Street and Exhibition, helping Brisbane evolve as a world-class city. “As a result of this historic investment, hundreds of new job opportunities will be delivered, for a once-in-a-lifetime opportunity to work on a project that will fundamentally change our region. Deputy Premier and Treasurer Jackie Trad said the high calibre of companies that bid to deliver Cross River Rail demonstrated how significant the project was for Queensland. “I congratulate the proponents on advancing to this stage. Across the three works packages, there have been hundreds of people working tirelessly behind the scenes to develop the comprehensive bids and I thank them all for their hard work,” Ms Trad said. “Cross River Rail will double our heavy rail capacity through the CBD, unlocking the network for future growth and delivering more trains, more often. “We have fully-funded this $5.4 billion project because we were sick of waiting on the LNP in Canberra to come to the table. Minister for Transport and Main Roads Mark Bailey said Cross River Rail would be ready to service the South-East by 2024. 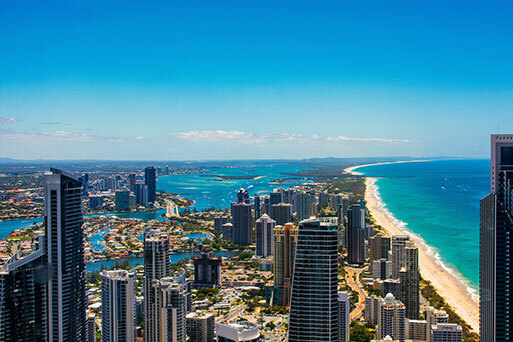 “A turn-up-and-go network will encourage people to leave their cars behind, in turn easing congestion and making the whole of South East Queensland even more liveable,” Minister Bailey said. CIMIC Group Chief Executive Officer Michael Wright said the consortia was excited to start work. “CIMIC Group is Australia’s premier rail infrastructure and services provider. Our end-to-end capability enables us to finance, design, construct and maintain the new tunnels and rail stations combining the collective expertise of Pacific Partnerships, CPB Contractors and UGL,” Mr Wright said. Iain Ward, Alliance Manager, said that UNITY Alliance is proud to be delivering this important component of Cross River Rail. “The Rail, Integration and Systems package is crucial to the overall delivery of the project and we’re committed to seamlessly and safely integrating our works into the wider project,” Mr Ward said. Hitachi Rail STS CEO Andy Barr said they are extremely proud to have been appointed for the ETCS. Through to mid-2019, the Cross River Rail Delivery Authority will continue to work with the respective consortia for the three works packages to achieve contract finalisation, the delivery schedule, and contractor mobilisation. It is expected that contractors will establish a site presence from late 2019. The Cross River Rail project will also help to deliver the Brisbane City Council’s vision to turn Albert Street into a ‘green spine’ that links the Botanic Gardens to Roma Street Parkland through the centre of the CBD. In 2018 the Cross River Rail development authority released its Albert Street Station and Green Spine Overlay document which overlays the Albert Street Station infrastructure on the Albert Street Vision. According to the document, the Albert Street station infrastructure will support the realisation and delivery of the Albert Street ‘green spine’ in accordance with the Brisbane City Council Vision and City Centre Master Plan. Originally published by Brisbane Development here.